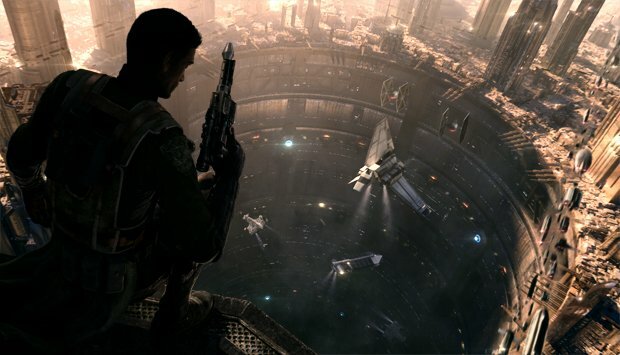 Rumor: Star Wars 1313 Back On The Table? While we like rumors just as much as the rest of the world does, they do lead to some pretty nasty conclusions. Rumors tend to force game companies into announcing or releasing something early, in this case, we want that. I’d like to preface this article with saying that there is no substantial evidence to back this rumor up, just speculation that goes off of the characters involved. If you do remember, last year Amy Hennig left Naughty Dog. The incredible writer of all three games decided that it was time to move on and apparently has picked up interest from EA. During an interview with GameInformer, Hennig denied that the game she was working on had anything to do with Han Solo or Boba Fett but we know at this point it is an unnamed Star Wars video game. The rumor mill has turned and the idea that she is working on something that spun off from 1313 is likely. The character from 1313, which was confirmed to be Boba Fett, will probably not play a roll but the idea of having a gritty Star Wars game that doesn’t revolved around the Jedi or the Sith is a strong possibility. While this is likely to change, Hennig is working on something and we will be sure to see some sort of details at E3 or earlier so stay tuned for more information!